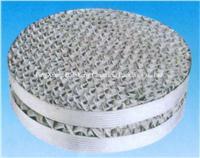 Metal wire gauze packing is available in a wide range of materials; include stainless steels, 304, 316, 316L, Carbonsteels. Aluminium, copper bronze etc. Further materials available on request. Fine chemical, flavors factory, isomer separation. The separation of thermally sensitive materials, testing tower and the improvement of tower..